I missed Beer Club Belfast again. 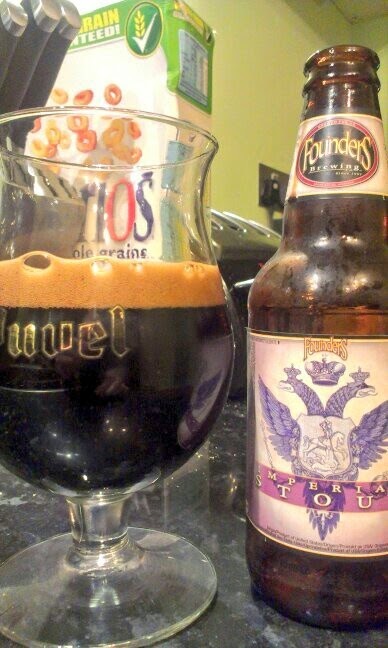 Judging by Twitter it seems to have been a good night, any one who was there want to share their beer of the night? Style: Belgian Ale. ABV: 5.4%. From: Vineyard. Description: Golden/light amber with a white head. Fizzy looking. 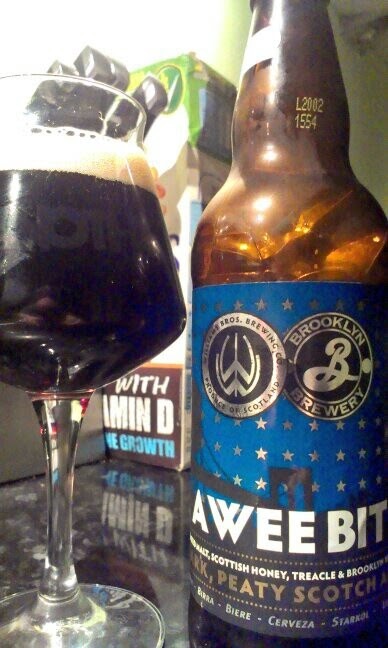 Not much going on aroma wise, something slightly metallic. Taste is lagery, some light metallic hops, and a vague bitterness. Light bodied and fairly fizzy. Thoughts: Not sure why this is on the list personally. 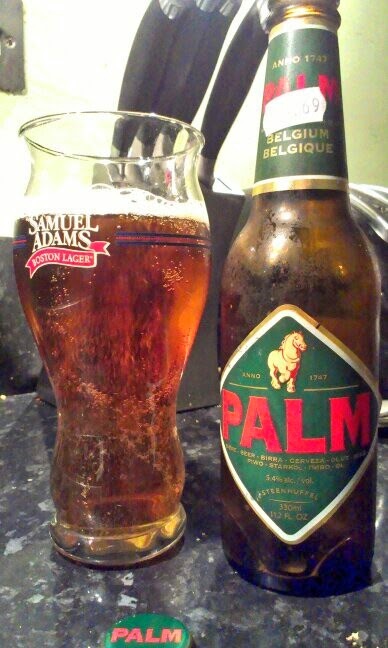 Very lager like. Drinkable(ish) but I won't be buying again. Style: Imperial Stout. ABV 10.5%: From: Light House Wines. Description: This is dark, may be the darkest beer I've had since Bourbon County Stout. Dark Brown head, it every looks gloopy just pouring it into the glass. Aroma of burnt malt, coffee, bitter dark chocolate, and rummy booze. Bitter coffee taste, dark chocolate, then some oak, smoke, and tobacco. A big boozy hit: this is viscous and sticky. Thoughts: Very tasty; dark, rich and complex. Though for me there was may be a little too much going on, and every thing is turned up to 11. Personally I though last week's Narwhal was a more balanced beer, and overall I still think founders porter is the best of their range. Style: Scotch Ale. ABV: 4.5% From: Vineyard. Description: Dark brown, translucent. White head. Aroma is all peat and smoke. Flavour starts sweet, some malt in the middle, finishing with the peat and smoke. Quite light. Thoughts: Not bad, not bad at all. Personally I could have taken more smoke, and it needed a slightly stickier body for me.